The Graf Zeppelin airship made its first intercontinental trip, On 15 0ctober 1928 with a a 9,926 km (6,168 mi), 111 hour crossing from Friedrichshafen to Lakehurst with Dr. Eckener in command. Capt.Ernst Lehmann, who was tragically killed in the crash of the Hindenburg at Lakehurst eight and a half years later, served as First Officer on the flight and U.S. Navy LCDR Charles E. Rosendahl, commander of the ZR-3 USS Los Angeles (ex-LZ 126), made the westward journey. Despite encountering heavy headwinds and stormy weather, Eckener repeated the success of his first transatlantic crossing four years earlier when he delivered the LZ-126 to the U.S. Navy in October 1924 and was welcomed with a “ticker tape” parade in New York and an invitation to the White House. On the first transatlantic trip the airship suffered serious damage to its port tail fin when a large section of the linen covering was ripped loose With the engines stopped, the ship’s riggers did their best to repair the airship without falling into the raging Atlantic ocean below.The Graf crossed the U.S. coast at Cape Charles, Virginia, on October 15, passed over Washington, D.C., , Baltimore Philadelphia , New York City and landed at the Lakehurst Naval Air Station After the damaged tail was repaired, the Graf left Lakehurst for Germany at 1:24 am on October 29 and arrived back in Friedrichshafen on November 1. The Graf’s “Round-the-World” flight in August 1929 began and ended at Lakehurst Naval Air Station in New Jersey. Wealthy newspaper magnate Randolph Hearst ‘s correspondent Lady Grace Drummond-Hay was on board making her the first woman to circumnavigate the globe by air. Also representing Hearst among the passenger complement were Karl von Wiegand and Australian Arctic explorer Sir Hubert Wilkins, and photographer/newsreel cameraman Robert Hartmann. The US Government was represented by Naval airshipmen LCDR Charles Rosendahl and LT Jack C. Richardson A semi-documentary film entitled”Farewell” was released in 2009 which featured much of the newsreel footage of Lady Drummond-Hay shot by Hartmann during the flight. The film was later aired on the BBC under the title “Around The World by Zeppelin”.The Graf Zeppelin flew back across the Atlantic to Friedrichshafen to refuel before continuing across Eastern Europe, Russia, and the vastness of Siberia to Kasumigaura Naval Air Station on a 101 hour, 49 minute nonstop leg covering 7,297 miles (11,743 km). In 1930 the “Graf” made a special two-day round trip flight from Friedrichshafen to Moscow on September 9–10, 1930 landing briefly to collect souvenir mail at Moscow’s “October Field”. However Crossing the inadequately mapped Stanovoy Mountains in Siberia proved to be a precarious venture with the Graf eventually being forced to climb to 6,000 feet in order to clear the range through a high mountain canyon with barely 150 feet to spare. After five days in Tokyo, the Graf continued across the Pacific to California crossing the coast at San Francisco before landing at Mines Field in Los Angeles thus completing the first ever nonstop flight of any kind across the Pacific Ocean, covering 5,986 miles (9,634 km) in 79 hours and 54 minutes. The 2,996-mile (4,822 km), 51 hour 13 minute transcontinental flight across the United States took the Graf over 13 states and such cities as El Paso, Kansas City, Chicago, Cleveland, and Detroit before arriving back at Lakehurst from the west on the morning of August 29, three weeks after it had departed to the east on August 8. Flying time for the four Lakehurst to Lakehurst legs was 12 days, 12 hours and 13 minutes while the entire circumnavigation (including stops) took 21 days, 5 hours and 31 minutes and covered 33,234 km (20,651 mi). 3RM Weltflug coin (1930A)Germany issued a special commemorative silver 3RM coin in 1930 in recognition of the Graf Zeppelin’s historic flight and Dr. Eckener became just the tenth recipient (third aviator) in 42 years to be awarded the Gold Medal of the National Geographic Society which was presented to him at the Washington Auditorium in Washington, DC. The Graf Zeppelin made another groundbreaking flight in July 1931 with a research trip to the Arctic. The idea of using an airship to explore the Arctic was one reason used to justify both the building of Graf Zeppelin, and the restoration of Germany’s right to build airships for commercial purposes.A year earlier Dr. Eckener had piloted the Graf on a three-day trip to Norway and Spitsbergen in order to determine its performance in this region. This was followed by a three-day flight to Iceland. Both trips were completed successfully.Plans were made to rendezvous with a surface vessel to be funded by exchanging souvenir mails to the ship. Around fifty thousand cards and letters were collected from around the world The rendezvous vessel, the Russian icebreaker Malygin, on which the Italian airshipman and polar explorerUmberto Nobile was a guest, carried another 120 kg (265 lbs) of mails to exchange. The major costs of the expedition were met largely by sale of special postage stamps issued by both Germany (as overprints) and the Soviet Union to frank the mails carried on the flight. The rest of the funding came from Aeroarctic and the Ullstein-Verlag in exchange for exclusive reporting rights. Multicultural Diversity day takes place annually on 15 October. The term multiculturalism (Multicultural Diversity) has a range of meanings within the contexts of sociology, of political philosophy, and of colloquial use. In sociology and in everyday usage, it is a synonym for “ethnic pluralism”, whereby various ethnic groups collaborate and enter into a dialogue with one another without having to sacrifice their particular identities. It can describe a mixed ethnic community area where multiple cultural traditions exist (such as New York City) or a single country within which they do (such as Switzerland, Belgium or Russia). Groups associated with an aboriginal or autochthonous ethnic group and foreigner ethnic groups are often the focus. In reference to sociology, multiculturalism is the end-state of either a natural or artificial process (for example: legally-controlled immigration) and occurs on either a large national scale or on a smaller scale within a nation’s communities. On a smaller scale this can occur artificially when a jurisdiction is established or expanded by amalgamating areas with two or more different cultures (e.g. French Canada and English Canada). On a large scale, it can occur as a result of either legal or illegal migration to and from different jurisdictions around the world (for example, Anglo-Saxon settlement of Britain by Angles, Saxons and Jutes in the 5th century or the colonization of the Americas by Europeans, Africans and Asians since the 16th century. The term multiculturalism is most often used in reference to Western nation-states, which had seemingly achieved a de facto single national identity during the 18th and/or 19th centuri. Multiculturalism has been official policy in several Western nations since the 1970s, for reasons that varied from country to country, including the fact that many of the great cities of the Western world are increasingly made of a mosaic of cultures. Multiculturalism as a political philosophy involves ideologies and policies ranging from the advocacy of equal respect to the various cultures in a society, policies of promoting the maintenance of cultural diversity, and policies in which people of various ethnic and religious groups are addressed by the authorities as defined by the group to which they belong. Multiculturalism that promotes maintaining the distinctiveness of multiple cultures is often contrasted to other settlement policies such as social integration, cultural assimilation and racial segregation. Multiculturalism has been described as a “salad bowl” or “cultural mosaic”in contrast to a melting pot. Two different and seemingly inconsistent strategies have developed through different government policies and strategies. The first focuses on interaction and communication between different cultures; this approach is also often known as interculturalism. The second centers on diversity and cultural uniqueness, which can sometimes[quantify] result in intercultural competition over jobs (among other things) and may lead to ethnic conflict. Discussions surrounding the issue of cultural isolation may address the ghettoization of a culture within a nation and the protection of the cultural attributes of an area or of a nation. Proponents of government policies often claim that artificial, government-guided protections also contribute to global cultural diversity. Another approach to multiculturalist policy-making maintains that society avoid presenting any specific ethnic, religious, or cultural community values as central. In the political philosophy of multiculturalism, ideas are focused on the ways in which societies are either believed to or should, respond to cultural and religious differences. It is often associated with “identity politics”, “the politics of difference”, and “the politics of recognition”. It is also a matter of economic interests and political power. Recently political multiculturalist ideologies have been expanding in their use to include and define disadvantaged groups such as African Americans, LGBT, ethnic and religious minorities, minority nations, indigenous peoples and disabled people. It is within this context in which the term is most commonly understood and the broadness and scope of the definition, as well as its practical use, has been the subject of serious debate. Most debates over multiculturalism center around whether or not multiculturalism is the appropriate way to deal with diversity and immigrant integration. The arguments regarding the perceived rights to a multicultural education include the proposition that it acts as a way to demand recognition of aspects of a group’s culture subordination and its entire experience in contrast to a melting pot or non-multicultural societies. Many nation-states in Africa, Asia, and the Americas are culturally diverse and are ‘multicultural’ in a descriptive sense. In some, communalism is a major political issue. The policies adopted by these states often have parallels with multiculturalist policies in the Western world, but the historical background is different, and the goal may be a mono-cultural or mono-ethnic nation-building – for instance in the Malaysian government’s attempt to create a ‘Malaysian race’ by 2020. People of Indian origin have been able to achieve a high demographic profile in India Square, Jersey City, New Jersey, US, which is known as Little Bombay, and is home to the highest concentration of Asian Indians in the Western Hemisphere and one of at least 24 such enclaves which have emerged within the New York City Metropolitan Area, with the largest metropolitan Indian population outside Asia, as large-scale immigration from India continues into New York, through the support of the surrounding community. Multiculturalism is seen by its supporters as a fairer system that allows people to truly express who they are within a society, that is more tolerant and that adapts better to social issues. They argue that culture is not one definable thing based on one race or religion, but rather the result of multiple factors that change as the world changes. Historically, support for modern multiculturalism stems from the changes in Western societies after World War II, in what Susanne Wessendorf calls the “human rights revolution”, in which the horrors of institutionalized racism and ethnic cleansing became almost impossible to ignore in the wake of the Holocaust; with the collapse of the European colonial system, as colonized nations in Africa and Asia successfully fought for their independence and pointed out the discriminatory underpinnings of the colonial system; and, in the United States in particular, with the rise of the Civil Rights Movement, which criticized ideals of assimilation that often led to prejudices against those who did not act according to Anglo-American standards and which led to the development of academic ethnic studies programs as a way to counteract the neglect of contributions by racial minorities in classrooms. multiculturalism in Western countries was seen to combat racism, to protect minority communities of all types, and to undo policies that had prevented minorities from having full access to the opportunities for freedom and equality promised by the liberalism that has been the hallmark of Western societies since the Age of Enlightenment. The contact hypothesis in sociology is a well documented phenomenon in which cooperative interactions with those from a different group than one’s own reduce prejudice and inter-group hostility. However others argue that multiculturalism equates to racial minorities “demanding special rights” and to see it as promoting a “thinly veiled racism And that multiculturalism is not about minorities” but rather the proper terms of relationship between different cultural communities. The standards by which the communities resolve their differences, should also come “through an open and equal dialogue between cultures rather than just one culture. multiculturalism has also been described as “differentialist racism”, that is a covert form of racism that does not purport ethnic superiority as much as it asserts stereotypes of perceived “incompatibility of life-styles and tradition. There is research that suggests that ethnic diversity increases chances of war, lowers public goods provision and decreases democratization, however there is also research that shows that ethnic diversity in itself is not detrimental to peace, public goods provision or democracy. Global Handwashing Day (GHD) is a global campaign which takes place annually on 15 October to raise awareness of the importance of handwashing with soap as a key approach to preventing the spread of diseases And to encourage people around the world to improve their handwashing habits by washing their hands with soap at critical moments throughout each day. Hand washing with soap is extremely effective and the most inexpensive way to prevent Diarrhea and Acute respiratory infections Pneumonia, a major ARI, is the number one cause of mortality among children under five years old, taking the life of an estimated 1.8 million children per year. Diarrhea and pneumonia together account for almost 3.5 million child deaths annually Handwashing with soap is estimated to reduce incidents of diarrhea by 30% and respiratory infections by 21% in children under the age of five. The campaign was initiated to reduce childhood mortality rates and related respiratory and diarrheal diseases by introducing simple behavioral changes, such as handwashing with soap, and To Foster and support a general culture of handwashing with soap in all societies, the campaign also aims to Shine a spotlight on the state of handwashing in each country and raise awareness about the benefits of handwashing with soap which can help prevent fatal diseases and lower the mortality rate. 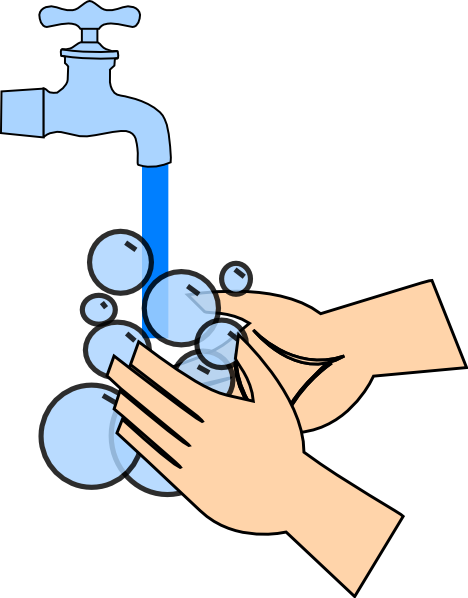 It is important to turn handwashing into a habit. Turning handwashing with soap before eating and after using the toilet into an ingrained habit can save more lives than any single vaccine or medical intervention, cutting deaths from diarrhea by almost half and deaths from acute Respiratory infections by one-quarter. Hand washing is usually integrated together with other sanitation interventions as part of water, sanitation and hygiene WASH programmes. The Global Handwashing Day helps raise awareness of the importance of washing with soap, but it also makes it fun for children to get involved. Proper hygiene requires that individuals know the importance of good hygiene and develop the habits to carry it out. Many people with ample incomes lack the important habits of timely handwashing with soap, and thereby unknowingly endanger themselves and others around them.Peer influence is significant to seeing increased handwashing among students. In a study conducted in Kenya, researchers found that students were significantly more likely to wash their hands when another student is present. Peer influence is only successful, however, when students know that handwashing is a desirable action. The Global Public-Private Partnership for Handwashing with Soap (PPPHW) established Global Handwashing Day in 2008 as a way to promote a global and local vision of handwashing with soap. Steering Committee members of the PPPHW includes Colgate-Palmolive; FHI 360; The London School of Hygiene and Tropical Medicine; Procter & Gamble; UNICEF; Unilever; University at Buffalo; USAID; the Water and Sanitation Programme at the World Bank; and the Water Supply and Sanitation Collaborative Council. Continued research on handwashing habits and practices is commissioned in conjunction with GHD. In 2011, Svenska Cellulosa Aktiebolaget (SCA), sponsored a study to assess the handwashing habits of American and Canadian adults, finding that many were not using soap when washing their hands. Each year, over 200 million people celebrate Global Handwashing Day. On 15 October 2014, Madhya Pradesh won the Guinness World Record for the most massive hand washing program involving 1,276,425 children in 51 different districts.Some groups choose to celebrate GHD on other dates than 15 October. In Ethiopia, 300 people celebrated Global Handwashing Day in Addis Ababa on 1 November in 2013. On 15 October 2015, Lupok Central Elementary School, Guiuan Eastern Samar, Philippines celebrated the Global Hand washing day by doing the proper hand washing before starting classes. National Grouch day takes place annually on 15 October, The purpose of National Grouch Day is To honour the world’s favorite grouch, Oscar, from “Sesame Street,” and celebrate all the grouches we know — or to embrace the grouch that lives inside all of us. Some Life events can make people a bit on the grouchy side, so today is a day to celebrate that grouchy spirit and not worry so much about keeping others content. According to the dictionary a grouch is a habitually irritable or complaining person and most grouchy people are at their happiest when others around them can share in their misery. A Grouch’s mission in life is to be as miserable and grouchy as possible, and pass that feeling on to everyone else. Only then will a Grouch feel in touch with his or her world and be happy. Yet, even though a Grouch may show happiness at anyone’s misfortune (including his or her own), a Grouch would never admit to being happy. Such is the stability of a Grouch’s life: so balanced, and yet so unbalanced. National Grouch Day is a day to be pessimistic, cranky, and irritable, And no one should stop grouchy people from complaining, being irritable, or wallowing in misery. The day is also an opportunity to spend time processing our negative emotions. It is rumored that National Grouch Day was created by Sesame Street Magazine, as a way to pay tribute the the famous Sesame Street character Oscar The Grouch. Grouches are an eccentric race of pessimistic, argumentative, and unhygienic furry creatures who prefer to live wherever trash can be found: trash cans, city dumps, even the occasional landfill (although, some Grouches live in crummy houses, broken cars, and some live in “yucky beautiful houses”). Grouches are a distinct species from the Sesame Street Monsters. Every Grouch’s mission in life is to be as grouchy and miserable as they possibly can and make everyone else feel the same way. Even though that makes them happy, however, a Grouch will never admit to being happy no matter what the circumstances. Grouches like anything dirty or dingy or dusty, anything ragged or rotten or rusty or trashy. They will only buy non-functioning or malfunctioning appliances, they normally keep elephants, worms, pigs, goats, and donkeys as pets, dine on appalling cuisine (ice cream sundaes with pickles and sardines are a popular Grouch dish, as are mashed bananas with beef gravy and ice cubes), sing out-of-tune, play radios at the highest volume, and bathe in mud as they all love not being clean, and they get their fur styled — or rather, disarrayed — at “ugly parlors” instead of beauty parlors. Grouches also like to use phrases such as “scram”, “get lost”, “go away”, “beat it”, and “buzz off.” A Grouch will never miss an opportunity to make a snarky remark. As seen in the 1985 film Follow That Bird, a handful of human beings have embraced the Grouch way of life, proving themselves to be as hostile, surly, and filthy as any furry Grouch. Two such human Grouches were seen working at the Don’t Drop Inn, a small googie-style Grouch diner with exaggerated greasy spoon service (inspired by Mel’s Drive-In) whose patrons included both furry Grouches and disagreeable humans who might or might not themselves have been human Grouches. Most of the Grouches live in Grouchland USA (inspired by Brooklyn, New York) as seen in the film The Adventures of Elmo in Grouchland. Though the Grouches there had to put up with having their stuff taken by a man named Huxley, Oscar the Grouch later convinced the inhabitants that even though Grouches hate working together, they had to cooperate just this once in order to take a stand against Huxley. According to Sesame Street legend creator Jim Henson and a friend went to a Manhattan restaurant recounted as either ‘Oscar’s Salt of the Sea’ or ‘Oscar’s Tavern’ , where they were waited on by a server so grumpy it was actually comical. Henson and his companion were so amused by the man’s behavior that they made trips to Oscar’s a regular form of “masochistic entertainment and eventually their waiter forever became immortalized as the world’s most famous grouch. It is also worth noting that during the very first season of Sesame Street Oscar The Grouch was actually orange in color rather than green. The color change was explained in season two as being the result of Oscar’s visit to Swamp Mushy Muddy. English Novelist, humorist and lyricist, Sir Pelham Grenville Wodehouse, KBE was Born 15th October 1881. His work includes novels, short stories, plays, poems, song lyrics, and numerous pieces of journalism. He enjoyed enormous popular success during a career that lasted more than seventy years and his many writings continue to be widely read. Despite the political and social upheavals that occurred during his life, much of which was spent in France and the United States, Wodehouse’s novels are mainly set in pre- and post-World War I English upper-class society, reflecting his birth, education and youthful writing career. An acknowledged master of English prose, Wodehouse has been admired both by contemporaries such as Hilaire Belloc, Evelyn Waugh, Rudyard Kipling, Stephen Fry, Christopher Hitchens, Douglas Adams, J. K. Rowling, and John Le Carré. P.G. Wodehouse sadly sadly passed away on 14th February 1975. Howeverhis work continues to enjoy enormous popular success and is still widely read. His novel Jeeves and Wooster was also adapted for a television series starring Stephen Fry and Hugh Laurie, and the musical comedies to which he contributed also remain popular to this day.